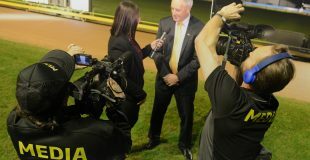 Paul Ellul experienced his biggest thrill in more than a decade last night as his own Riddles claimed a city win at Sandown Park. It was Ellul’s first city win in two decades and it comes at exactly the right time after a run of hard luck away from the track. “You feel down in the dumps then something like this happens. Over the last three months there’s been things breaking down around the house. You ask yourself when is this all gonna stop? After last night I think it has turned around,” said a proud Ellul. Ellul has spent the majority of his life working as a painter and has done many hours touching up some of the paintwork at Sandown Park. 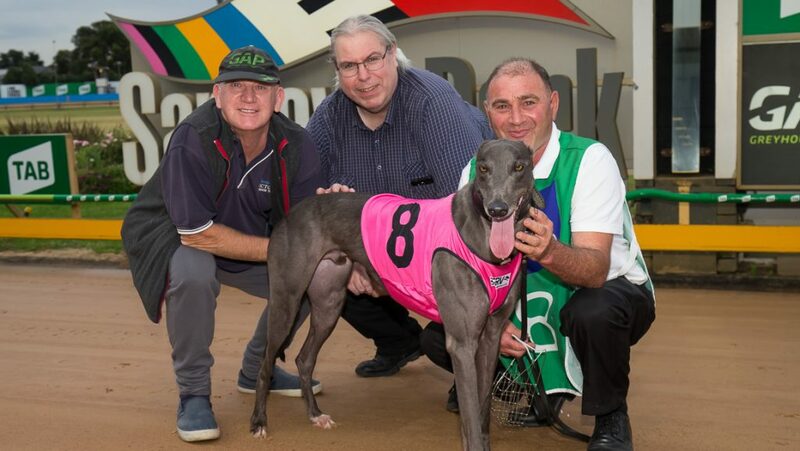 Training greyhounds has been something Ellul has done since his late teens, his passion for the breed developed while growing up around the Springvale area, with a social outing to Sandown Park every Thursday night the norm. Over his many years training greyhounds, he has never had more than three at one time. Although he’s been in the care of some with good ability, none have boasted the promise that Riddles is showing. Ellul purchased him from Queensland when he was 9 months of age and it didn’t take long for ‘Bluey’ to be sent down to his new Noble Park home. “I bought him off Steve McDermott, he had a photo on Greyhound Data of four pups though was only selling one. I liked the breeding and told him I want to buy the blue dog. “I broke him (Riddles) in at Sandown and to be honest early on he didn’t go that well, but with time he continued to improve. He’s no champion but handy ones like him don’t come around all the time. Riddles celebrates his 2nd birthday next Wednesday and is shaping up as the perfect type to contest April’s $432,000 Launching Pad series – click here for more information. “During kennelling Jason Ireland told me he might be a good dog for the Launching Pad, I said ‘what are ya talking about?’ But after last night it looks a real possibility.